The last time Orchestral Manoeuvres In The Dark performed in Guildford was in June 1985 at the Civic Hall, prior to the release of their sixth studio album. In fact, this particular stop on the Crush tour was only the third time they had played in the large Surrey town; the first time as support to Gary Numan back in October 1979. The Civic Hall has since been demolished, and replaced on the same site by the impressive G Live venue; the scene of a largely triumphant 11th stop on the band’s 18-date UK tour. Support arrives courtesy of three-piece electronic act Tiny Magnetic Pets who deliver an impressive half-hour set that exhibits their array of electronic influences; largely pitched between David Bowie’s experimental late ’70s period and the more melodic inflections of acts such as Kraftwerk. Indeed, the Dublin-based trio have been picking up some very favourable attentions in Germany, with former Kling Klang resident Wolfgang Flür featuring on their second full-length album Deluxe/Debris. 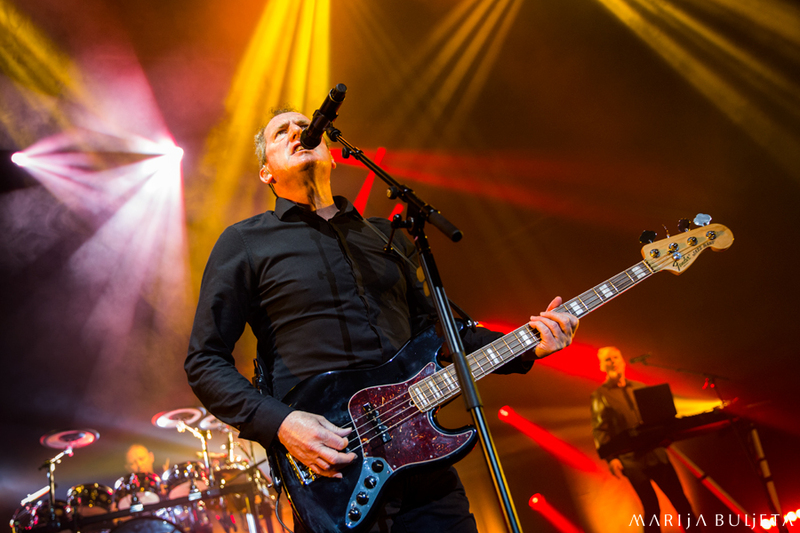 But it’s OMD’s Andy McCluskey who can be credited with adding the Irish band to the bill; a further endorsement of the band’s proliferating synth-pop credentials. The Pets’ 7-track set largely draws from this well-received album, with their attractive singer Paula Gilmer providing the primary focal point; confidently straddling the stage as keyboardist Sean Quinn studiously unravels a broad palette of electronics. Percussionist Eugene Somers, meanwhile, cuts an equally engaging figure; providing some impressively taut rhythms. Gilmer possesses both an engaging personality and an appealingly pure voice, and the relaxed Saturday night crowd respond positively. Highlights include the captivating ‘We Shine’ (from 2015’s Stalingrad EP) which, pleasingly, sounds like a Yazoo/Visage mash-up. And then there’s the epic set-closer ‘Semaphore’. 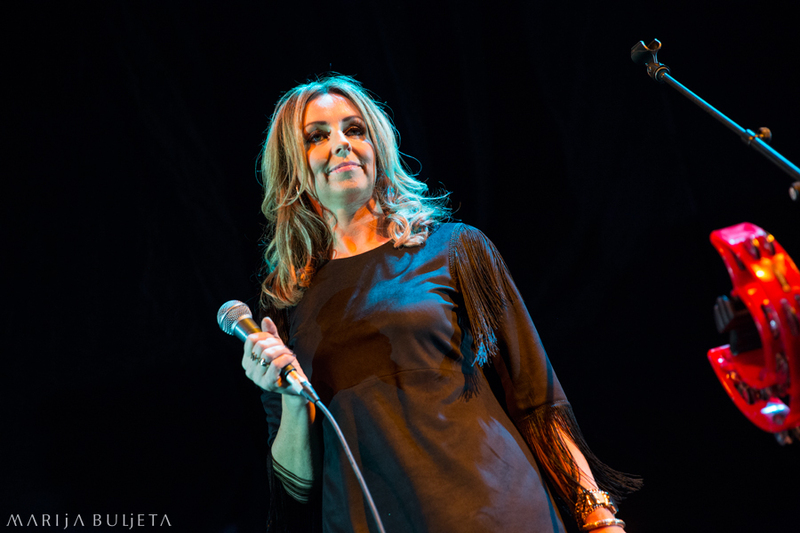 The band recently told The Irish Times: “We hit the stage like a rock band. People expect politeness, but that isn’t us – you have to rock it out when you go on stage.” The performance of ‘Semaphore’ certainly displays an exciting degree of showmanship, as well as acting as a summary of the band’s multitude of influences; bristling with Die Mensch-Maschine electronics, the foreboding noir of early Human League, and the more abstract leanings of Neu! It’s an enjoyable set and 30 minutes soon pass… as good a sign as any of a decent support act. 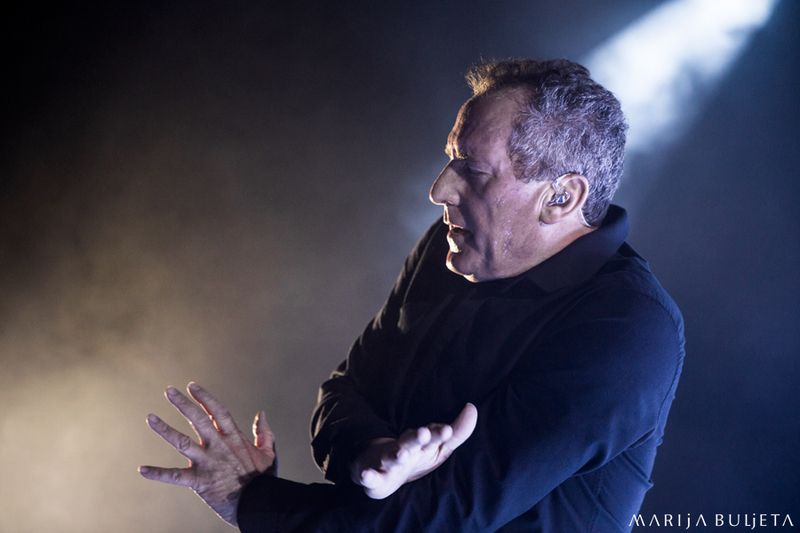 With such a rich and varied back catalogue to choose from, the dilemma of putting together an OMD set list must get increasingly difficult; particularly in view of the fact that some of their more recent output has been favourably compared with the best of their earlier work. Tonight’s set list features a deft selection of hit singles, deep cuts and newer songs. By the time OMD’s set is announced with an ephemeral, yet effective, introductory track (a hybrid of two of their latest album’s more abstract pieces, ‘Art Eats Art’ and ‘La Mitrailleuse’), capacity in the standing area has swelled to near-capacity. There’s a relaxed vibe amongst the audience, who can almost sense that something special is going to happen. Whilst The Punishment Of Luxury doesn’t quite tick all the boxes in the same way that its predecessor English Electric did in 2013, the album has given the band their highest chart placing since 1991’s Sugar Tax, and attracted some of the best reviews of their career. So it’s not a great surprise that the band possess the confidence to kick the set off with two six-minute-plus numbers. 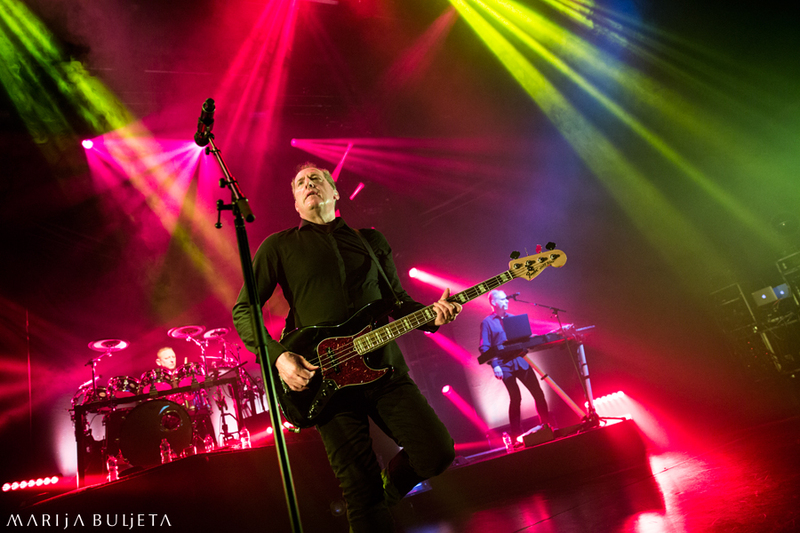 Singer Andy McCluskey stands with his back to the audience as the brooding melancholia of ‘Ghost Star’ begins proceedings, slowly building from its La Düsseldorf-meets-‘Stanlow’ foundations. It’s an unusual starting point, but it works. It’s followed by the more uptempo – and playful – ‘Isotype’. Bursting with Kraftwerkian melody, it offers a welcome contrast to the set opener’s more melancholic tones. McCluskey straps on his bass guitar for a double-header of set staples ‘Messages’ and ‘Tesla Girls’, the latter the source of much amusement – both on and off stage – as keyboardist Paul Humphreys fluffs some of his backing vocals (“He started singing different words at the end!” a bemused McCluskey tells the crowd). The band recover for the 3-chord (C-G-F) tour-de-force that is ‘History Of Modern (Part One)’, and McCluskey invites the crowd to pogo along to a song that’s essentially about the end of the world. One of the highlights from the band’s 2010 comeback album of the same name, it’s no surprise that it’s become something of a regular set fixture in recent years. ‘One More Time’ is another 3-chord affair (G-C-D) that offers the band another opportunity to showcase their new album (thankfully we’re spared the rather gimmicky ‘Robot Man’). On record it’s somewhat stilted and formulaic – like Arcade Fire at their most pedestrian – but it works brilliantly in a live setting, with Humphreys’ glistening synth work particularly impressing. One of the interesting facets of this tour is the set list vote, which offers fans the opportunity to vote for a song to be played from a choice of three. Tonight we’re offered ‘The New Stone Age’ and ‘She’s Leaving’ from Architecture & Morality and ‘Pandora’s Box’, the band’s last Top Ten hit (in 1991). McCluskey tells us it’s a close vote, with 8 points separating third from first place… but it’s ‘She’s Leaving’ that wins through (by a single vote). As a contemporary version of ‘Time Zones’ blasts through the sound system, the four members of the band venture front of stage for a special version of the classic b-side ‘Of All The Things We’ve Made’ (later revamped on 1983’s Dazzle Ships), with Kershaw pounding a single drum. For the purists in the audience, who favour the band’s pre-Junk Culture output, it’s a moment to savour. Somewhat disappointingly, previous album English Electric doesn’t get a look in as the band integrate newer songs into the set. We get the band’s rather bland new single ‘What Have We Done’ (Humphreys’ touching lament about putting his dog to sleep) and, later in the set, there’s the Kraftwerk-fuelled title track, ‘The Punishment Of Luxury’, featuring some slightly clumsy observations about modern consumerism. The crowd love it, though, and gleefully join in with the “hey! hey! hey!”s. 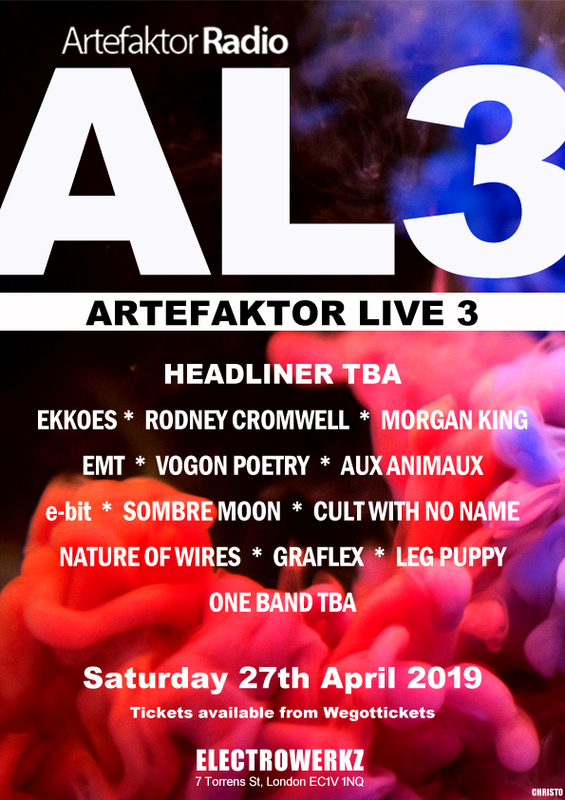 It’s a crowd-pleasing array of hits that close the main set, including the Caribbean-flavoured ‘Locomotion’ (a single that has divided fan opinion over the years). 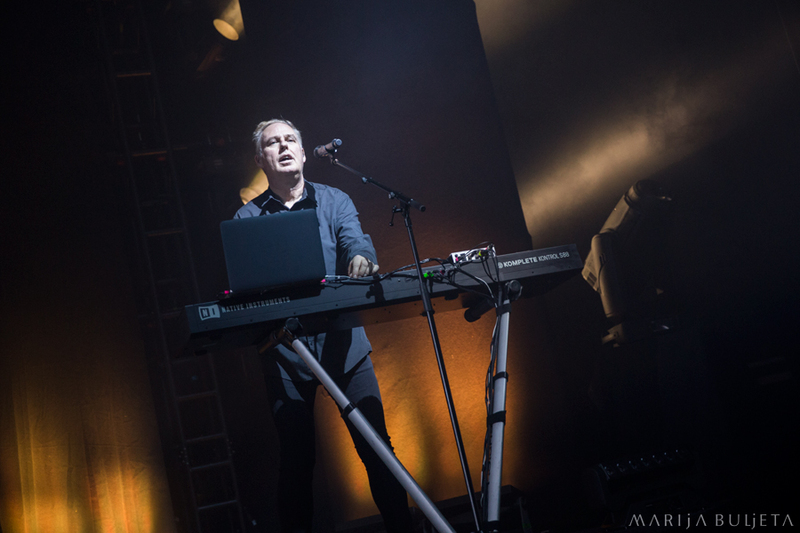 Martin Cooper, always a steady and reliable presence on stage, performs note-perfect saxophone parts on ‘So In Love’, as well as a wonderful keyboard solo on ‘Sailing On The Seven Seas’, the song that kick-started OMD’s ‘solo years’ in the 1990s. The set ends with a rapturously-received ‘Enola Gay’. The band soon return for a decidedly curious encore. On record, ‘Walking On The Milky Way’ is a wonderfully produced slice of Beatles-flavoured meditation on growing up, but it doesn’t quite work in a live capacity, and the absence of the Hannah Clive vocal sample doesn’t help. But, the run-through of OMD’s last significant hit receives an enthusiastic response as McCluskey stoops to a recumbent position on the stage. “I’m still twenty-four in my head,” he reassures the crowd. “But my knees are telling me I’m fifty-bloody-eight!” Fortunately there’s some respite as McCluskey reverts to bass-playing duties for ‘Secret’ and Humphreys’ fourth lead vocal of the night. And there’s just enough fuel in the tank for a typically energetic version of ‘Electricity’, the band’s “oldest and fastest” song. 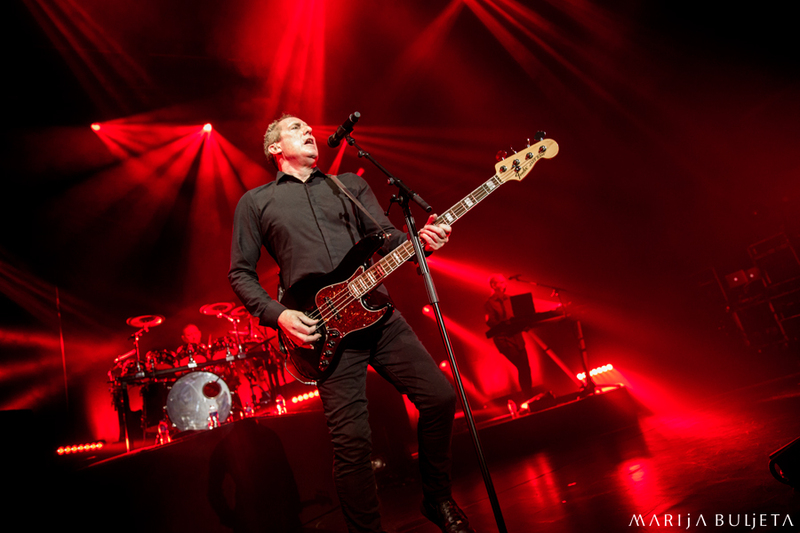 I’ve seen OMD perform many times over the years, but rarely have I seen them so relaxed and confident on stage. Whilst the absence of charismatic drummer Mal Holmes – due to health issues – is still felt amongst many fans, in Stuart Kershaw they have a more-than-able deputy who adds a fresh (and powerful) dynamic to the band’s live sound. It’s the sight of a reenergised band enjoying a well-deserved career renaissance, and long may it continue. Nov 15 Bexhill – De La Warr Pavillion, Nov 17 Manchester – Acacdemy, Nov 18 York – Barbican, Nov 19 Glasgow – Royal Concert Hall, Nov 21 Birmingham – Symphony Hall, Nov 22 Gateshead – Sage. Many thanks to Marija Buljeta and Sara Page.